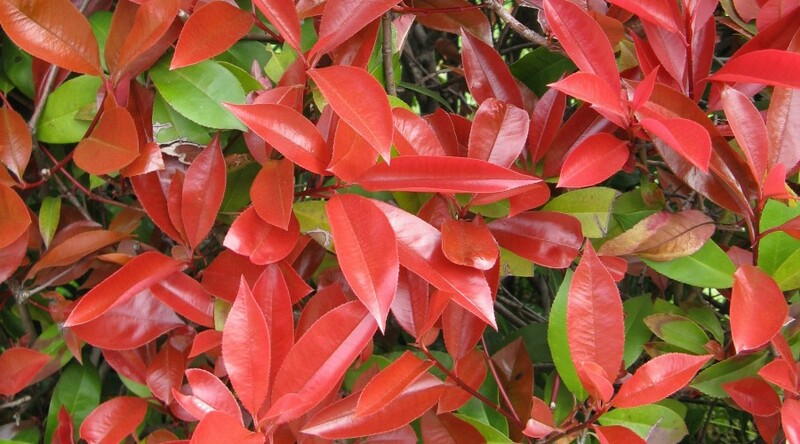 An upright, evergreen shrub with dark green leaves, bright red when young. Small white flowers are sometimes followed by bright red fruit. Height 5m. Spread 5m. Flower colour White. Flowers from April to May. Fruit colour Red. Fruits from August Evergreen. Foliage colour Green, Red.